Climate change is profoundly altering our world in ways that pose major risks to human societies and natural systems. 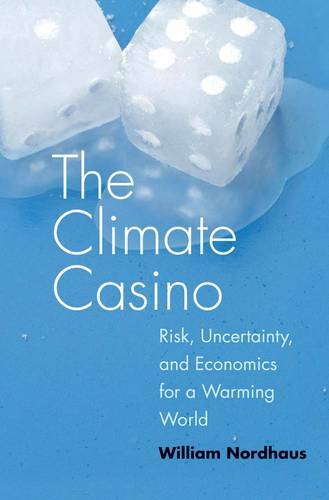 We have entered the Climate Casino and are rolling the global-warming dice, warns economist William Nordhaus. But there is still time to turn around and walk back out of the casino, and in this essential book the author explains how. Bringing together all the important issues surrounding the climate debate, Nordhaus describes the science, economics, and politics involved-and the steps necessary to reduce the perils of global warming. Using language accessible to any concerned citizen and taking care to present different points of view fairly, he discusses the problem from start to finish: from the beginning, where warming originates in our personal energy use, to the end, where societies employ regulations or taxes or subsidies to slow the emissions of gases responsible for climate change. Nordhaus offers a new analysis of why earlier policies, such as the Kyoto Protocol, failed to slow carbon dioxide emissions, how new approaches can succeed, and which policy tools will most effectively reduce emissions. In short, he clarifies a defining problem of our times and lays out the next critical steps for slowing the trajectory of global warming.